The climate adaptation strategy of St.Petersburg by 2030 was presented last month at the Public Environmental Council of St.Petersburg City Government. The strategy outlines the scope of actions and infrastructural changes that are necessary to tackle the effects of climate change, such as floods, inundations and disruption of municipal services. Prior to the development of the Climate Strategy, the city conducted an analysis of possible climate change effects for nature, the safety of buildings and constructions, transport infrastructure, human health and quality of life. 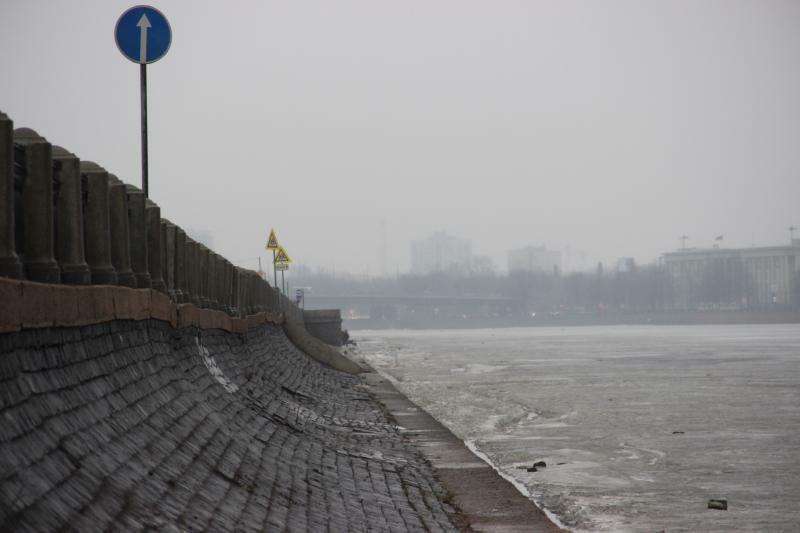 Floods, erosion of coastal areas and changes in heating/cooling modes are of paramount importance for St. Petersburg. The development of the Climate Strategy is implied by the Environmental Policy of St. Petersburg by 2030 that was adopted back in 2012, and it may be further included in the regional Environmental safety documents. The basis for the Climate Strategy development was a 4-year joint project by the leading scientific institutions of St. Petersburg and Finland, which analyzed the experience of Finland, as well as the Baltic countries, Scandinavia and Germany. It is obvious now that St. Petersburg is facing the disruption of coastal areas, mean temperature growth, the onset of heat and cold waves that are detrimental to human health, increased precipitation and changes in ice conditions and snow cover and the Baltic Sea level rise. It all implies an increased frequency and intensity of events and processes that are connected with the negative impact of water (floods, inundations, coastal disruption etc.) on the territory of St. Petersburg. - lost productivity and decreased quality of work etc. The Strategy talks about both direct and indirect impact on human health. Direct impact implies an increased incidence rate and mortality during the days of abnormally high/low temperatures, as well as increased mortality, number of injuries and post shock syndromes as the result of floods, storms and other unfavorable meteorological conditions. The draft Strategy talks about climate change impacts on the city infrastructure. When talking about mass transit, it implies road and railway maintenance as well as safety and reliability of traffic – which may be disrupted due to extreme weather conditions, such as snow storms, fogs, heat and cold waves etc.) The Strategy predicts the disruption of utility networks, corrosion of materials and decreased shipment of gas through gas pipelines. Main indicators of the successful implementation of the Strategy will be an increased share of St. Petersburg territory that is protected against the negative water impacts (up to 95% by 2030) and an increased number of St. Petersburg citizens that are protected against the same (up to 95% by 2030). The Climate Strategy will be implemented in three steps. The first one, (from 2016 to 2018) will include the development of implementation plan and the creation of a coordinating body, an inclusion of coastal protection schemes, maps of inundation areas into the city’s General Plan, as well as the development of plans and guidelines for environmental education and information activities that talk about the effects of climate change, etc. The second step will happen in 2018-2010. It will include mapping of areas that are potentially vulnerable to climate change; economic and environmental impact assessment and that of potential health damage; changes to structural design documents with regard to climate adaptation measures; development of investment projects to implement adaptation activities in St. Petersburg. The third and final step (2020-2030) will include the implementation of the developed plans of adaptation measures. During each of the steps, an important role will be dedicated to the strengthening of cooperation and experience exchange in the field of adaptation to climate change on all levels of political and public life. Comment by Olga Senova, Head of the Russian Social Ecological Union’s Climate Secretariat: the destruction of coastal areas in both southern and northern parts of the Gulf of Finland are already obvious. In Kurortny district of St.Petersburg and by Krasnoflotskaya (Lomonosovsky district, Leningrad Oblast) the coastline has already receded for over 10, and in some other places over 20 meters. The warming catalyzes the main problem of the Baltic Sea’s shallow areas, and especially of the Gulf of Finland, - the eutrophication and proliferation of blue-green algae. This means that we need additional stronger measures to reduce the nutrient load on the Gulf, both from greywater discharge from settlements and agriculture. The draft version of the Climate Strategy of St. Petersburg is a big achievement for our country and a fine example for many other regions. However, there is still a lot of work left to develop this draft in order to consider all the necessary aspects of adaptation, and to reflect the main focal areas for greenhouse gas emissions reduction.